...... Are you brave enough to trick or treat around this place? *A true atmosphere of Spooky Halloween! *Have your PC haunted for the holiday! Haunted house in the woods invites you for a visit! 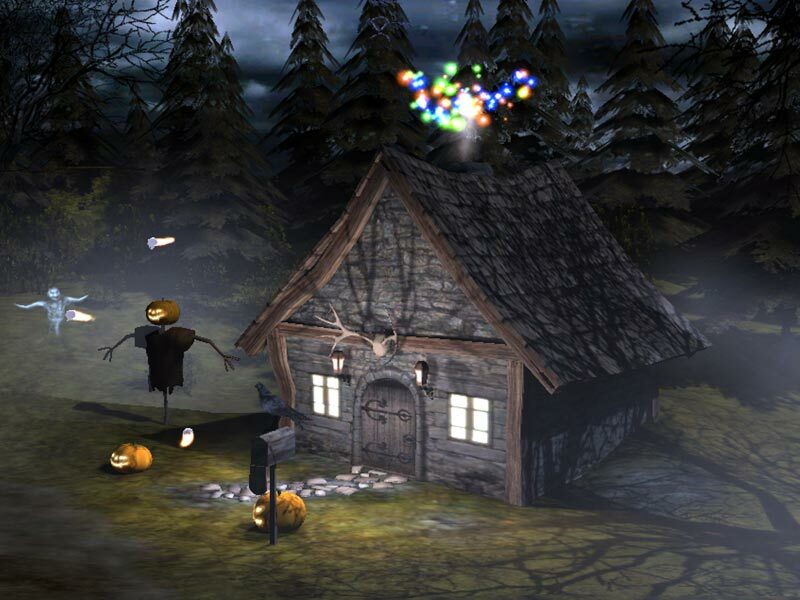 Halloween 3D brings the spirit of this holiday right to your computer monitor. Does it force small children crying? You will see a pumpkin rotating in front of a very terrific background. Turn your computer on and watch mystical overnight actions before the Halloween. Create the holiday atmosphere right on your desktop. The most terrible and dreadful Halloween scene you ever seen before. Qweas is providing links to 3D Spooky Halloween Screensaver 1.3 as a courtesy, and makes no representations regarding 3D Spooky Halloween Screensaver or any other applications or any information related thereto. Any questions, complaints or claims regarding this application 3D Spooky Halloween Screensaver 1.3 must be directed to the appropriate software vendor. You may click the publisher link of 3D Spooky Halloween Screensaver on the top of this page to get more details about the vendor.